Taqyeem is a premium reviewing and rating WordPress plugin. This plugin allows you to add ratings and reviews to your posts, pages, and custom post types. 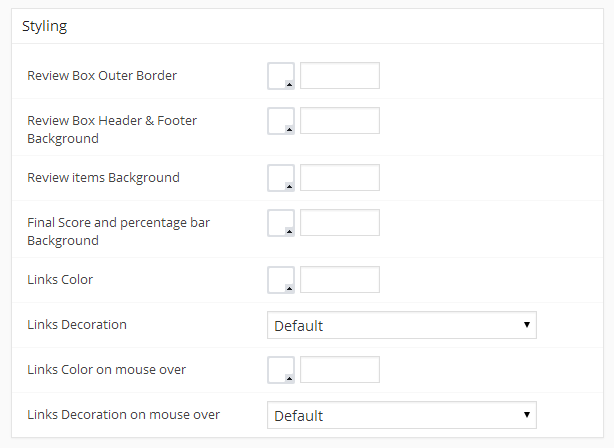 Enable this option if your theme uses the_content() in homepage and archives pages and you want to show post review box in the single post page only! Choose who can rate ? Guests , Registered Users or both also you can disable this feature by choosing No One. Choose the image of the “image” rating style. This image will be used in widgets and in the final review score. When create your reviews you can choose to use the Rating Image, Points or Percentages. This is done when Adding the Review to your posts and pages. From the Styling Tab you can change all colors and backgrounds of the Review box . 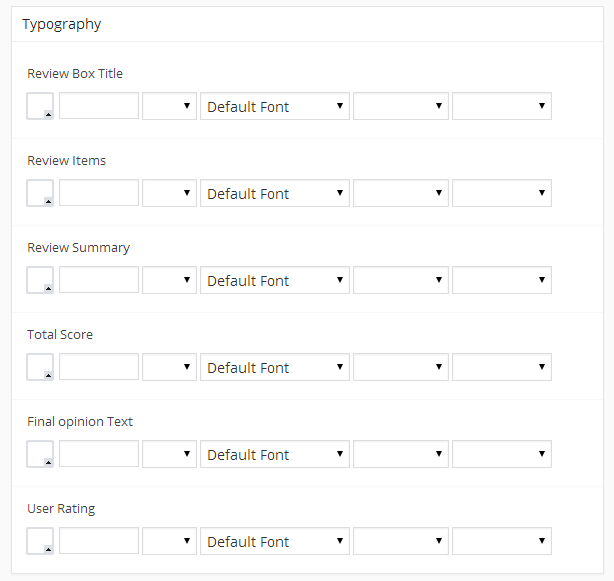 From Typography Tab you can chnage all fonts , size , weight and colors for the review box elements. If you play to insert the Review Box in post or page text, shortcodes are the way to go. You’ll need to enter the code in the place you want in the post content area . To display the final score of the post review in your theme template. You may place it in index.php archive.php, single.php, post.php or page.php also. Use the follwing code .. replace $post_id with the ID of the post . In the Taqyeem – Review Options box .. Check the Add Button checkbox to display the button options. Enter the Text and the URL for the Button . 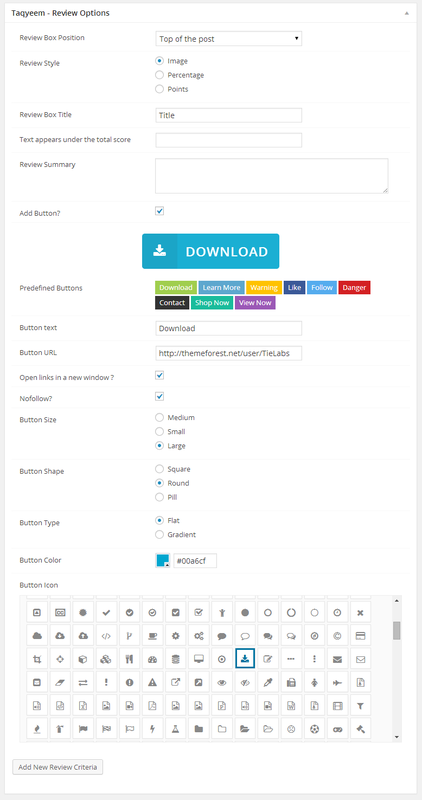 Or Use on of the ready to use predefined buttons .